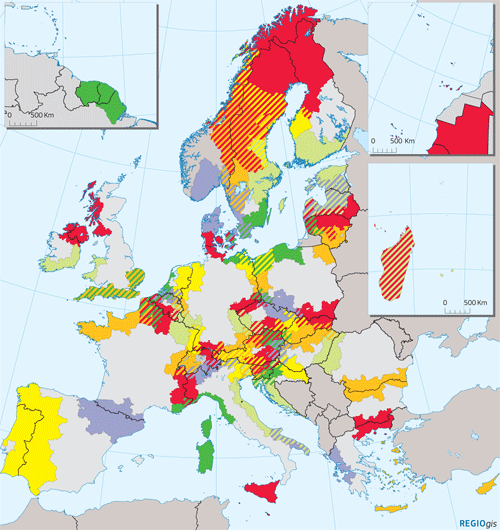 European Cross-Border cooperation, known as Interreg A, supports cooperation between NUTS III regions from at least two different Member States lying directly on the borders or adjacent to them. It aims to tackle common challenges identified jointly in the border regions and to exploit the untapped growth potential in border areas, while enhancing the cooperation process for the purposes of the overall harmonious development of the Union. 37.5% of the EU population lives in border areas, along some 38 internal borders made up of geographic, linguistic barriers often bearing the scars of European wars. First developed as a Community initiative in 1990, Interreg was reorganised as a formal "objective" of European Cohesion Policy in 2000. European Cross-border cooperation aims to tackle common challenges identified jointly in the border regions and to exploit the untapped growth potential in border areas, while enhancing the cooperation process for the purpose of the overall harmonious development of the Union. 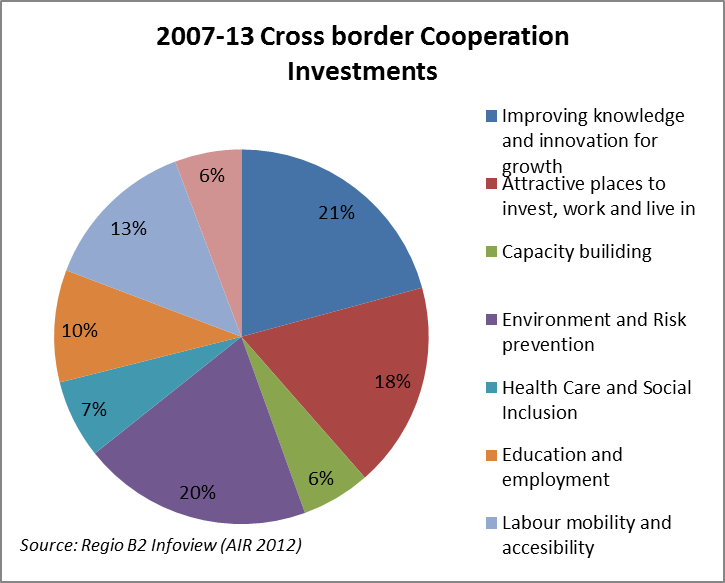 There are 60 cooperation programmes for the period 2007-2013 with an allocation of EUR 6 billion (60% of which have been spent already), are involved in a wide variety of activities linked to the maturity of border cooperation. Cross-border cooperation programmes support NUTS III regions laying directly on the borders, or adjacent to them. They are managed by joint structures, situated in one of the countries, responsible for the whole programme. What do CBC programmes finance? In some border areas, cooperation still had to heal the scars of history and turn recent ‘enemies’ into ‘neighbours’ to foster sustainable trust along many borders, as a stepping stone towards more mature stages of cooperation ranging from tackling common handicaps – especially risk prevention and emergency response activities- to more integrated cooperation approaches aiming at exploiting together untapped potential to boost economic development in often peripheral regions. The new 2014-2020 period will require each of the 60 programmes to be more focused in terms of results and priorities, in line with the new reformed EU Cohesion Policy. This should ensure maximum impact and even more effective use of the investments. For the first time in 2015 a specific Eurobarometer survey on border regions has been run. The goal was to measure attitudes of population in the EU border regions about EU funding, neighbouring population and all many other information useful to design more targeted EU interventions in the future. More than 40 thousands people were interviewed and the complete results can be found here. Although Interreg has been an important part in alleviating border obstacles and enhancing a spirit of cooperation, Interreg funding is not the only answer. 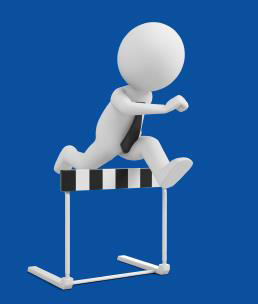 Many of these obstacles call for changes in laws and/or administrative procedures. The European Commission's Directorate-General for Regional and Urban Policy (DG REGIO) therefore wants to examine what obstacles remain and how they affect people, organisations, businesses and public authorities in border regions. This analysis could in the future be used to assess whether the Commission can take further action, either on its own initiative or together with national and regional authorities. More than 6000 Cross-border projects were supported in Europe's regions between 2007-2013 - in EU Members and non-Member States alike. Most of these have been centred around the EU's 38 internal borders and the citizens who live there. Relatively small in budget, the projects have many concrete outcomes: removing barriers to better security, transport, education, energy, health care, training and job creation.